Blue Moon Furniture- Blog-How to create a cohesive look in your home. How to create a cohesive look in your home. Masterfully paired items create a sense of coherence, luxury and spontaneity in the home. Console tables are the epitome of versatility, they can be used in a front hall, as a room divider, behind a sofa, or a buffet in the dining room. Focus on pairing consoles and coffee tables for a fast and easy way to polish your interior style. 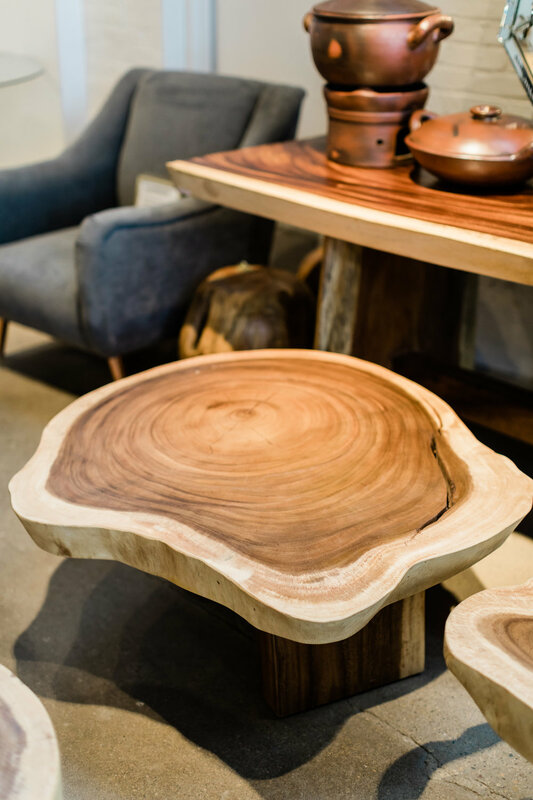 The organic, sculptural Mesa Console is made of a single piece of rain wood. It pairs perfectly with the cratered surface of this free flowing coffee table. The monumental lines of the Nevada Console reference the lines of the canyons in the desert. Pair it with the flowing lines of the Desert Winds Coffee table. Perfect for adding warmth to a modern home, this bleached Tamarind wood Rosetta console table shows wonderfully from both sides. 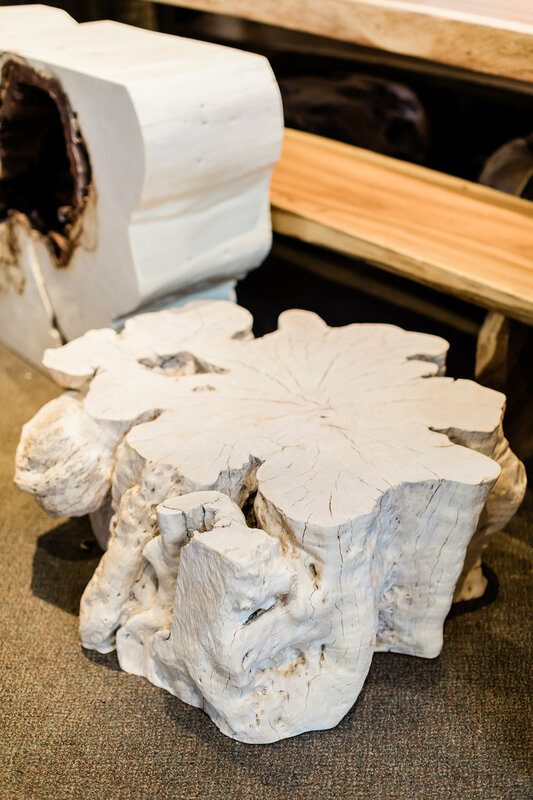 Pair it with this Bleached Lychee wood Pacifica coffee table. And don’t forget the accessories. 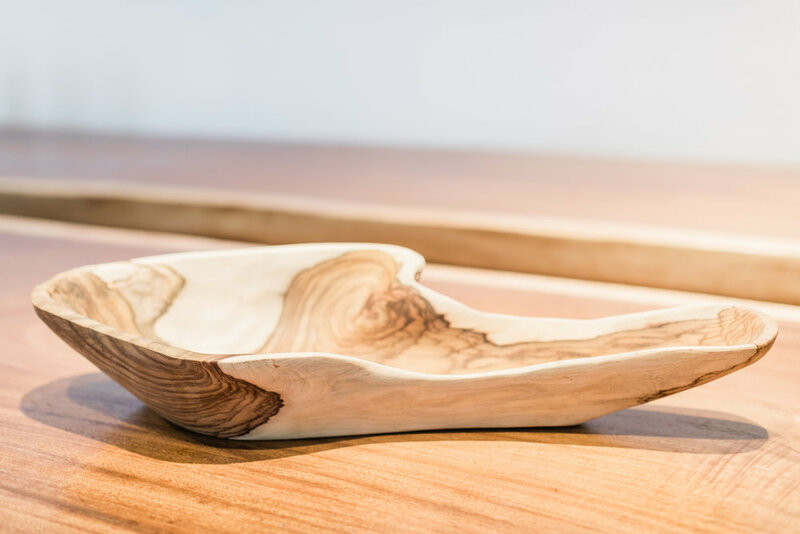 These carefully curated pieces carry the warmth of your console and coffee tables into other spaces in the house giving the whole home a calm sense of coherence. The Ancient Source Traditional Pottery is superb as a decorative item or for cooking. Hand Woven wonderfully crafted indoor/outdoor baskets. Windswept Organic Rosewood Carved Bowl.